I like being able to pull several different reports for my several different needs. This allows me to use one report to enter payroll, while using a different report for invoicing. Making the information more comprehensive for the task at hand. I also like how easy it was to set up, and continue to use and navigate. I would like to be able to give employee numbers, just like the job numbers. I would also like employees to be able to edit their notes after they clock out, without being able to edit their time. Some times our guys forget to add the proper notes before they clock out. "Overall Useful App For Time Sheets, Bit of a Battery Drain"
ClockShark has been very useful in shifting the burden of responsibility from the administration to the individual employees. I used to spend several hours every Sunday manually entering and adding up the hours of my local crews, now I don't have to. ClockShark forces them to be responsible for their own time. It is quite the battery drain. When running in the background on Android phones, we've found that we have to recharge the phones every day because they will get down to around 20% battery by the end of the day. Make sure you understand that it is a bit of a battery hog. Beyond that, you likely also have a legal responsibility to inform your employees that ClockShark will track their clock in and clock out locations by default. Other than that, ClockShark is a very easy, convenient solution for timesheet management. It takes much less time to process payroll so it can be sent over to the company we contract to issue paychecks. Employees have to be responsible for their own time, so they've started to become proactive about errors. We really appreciate your feedback! It helps us create a better product for everyone. "ClockShark is a platform of excellent quality. " Getting the payroll takes less than half the time you used, which is incredible. Keeping track of the hours worked in each job is much easier now. It is much quicker to put in the calendar the hours that have been worked included the pause for lunch, it is a good alternative. I would like more characters in the notes section of the calendar. Also, when I run the payroll, I have to convert all the hours to decimals. It would be nice if you could run a report that allows that change. It would be amazing someday if Clockshark offered that service. The assistance of Clock Shark is immediate, which means that our business does not have any downtime. Which makes it a highly recommended product. We also love the possibility of adding numerous attachments to the shifts to be downloaded by the Administration staff. Clockshark allows us to schedule our staff individually, every day, with all the information they need attached to the calendar. You have removed many additional texts, emails and questions. Thank you so much for your review! We have an option in company settings to change your Time Display Format from hours to decimal hours give that a try and see if it helps you out. "Amazing tool for our company"
I like that with the GPS system we keep our employees to have no problem when the payments are presented, if someone works overtime there will appear and you can also add small notes with what was the day or some improvements to be made. We could want the list of reports to be more extensive, we would like very much to have that advantage. But in general, we do not consider that ClockShark does something wrong, it even has a great price for both small and large companies. We recommend this software to any company that wishes to follow up in real time with any of its employees, which is effective at all times and at a good price. Everything is fine, we have a calendar to mark in real time our working hours, without any kind of problems, has an excellent interface that is very well developed, adaptable for any company that wants to leave that tedious task of signing the hours that your employees work. Thank you for your review! It really means a lot to us here at ClockShark! We are so happy to hear that you like the GPS feature. "Excellent organizing, Ease of use, Room for improvement"
When changing view of timeline, it doesn't give you Month View for example by snapping to the calendar view. It shows you a month out from the date you're currently on. Not what the user is expecting (or envisioning) when wanting to see a Month on the screen. HATE that I cannot edit a shift - switch the dates and have the original shift I'm editing disappear from the calendar - isn't that obvious? I'm editing it to REPLACE the shift that was there originally. HATE when I'm deleting all shifts in the series, it doesn't delete the shift I'm working from (or on the day I'm working from). Delete all means Delete ALL. Remote scheduling with field crew - they can look on the app the night before and see where they're going the next day. Historical logging of shifts and employees for Payroll/Time Sheets. Inventory planning. Thank you so much for your feedback! It helps us improve ClockShark for users like you! "It is very opportune to have ClockShark for tracking the work of the staff"
for anyone it is a secret that clockshark is a good program, we are happy to have it since it allows us in a timely manner to monitor our daily tasks, to see where the work to be performed is located, to take care of the employee, to designate fast way the activity to be carried out, its interface is good and its prices are comfortable for the companies. we recommend this software because through it we have organized in a timely manner the monitoring of the daily activities of our company. "another experience with clock shark"
It is very important for our company to have the opportunity to obtain this software because through it we keep track of the work to be done, and we make an assistance observation about our employees. This software allows us in a thorough way the hours worked by the employee, to program their activities, to designate jobs and thus to keep an effective control of all their work to be executed and finalized. we do not like the way they have not tried to improve the interface, that it is not stable and when opening it it gets slow to manipulate it in the mobile android teams, it does not let us configure the reports, they should improve these options to provide a Best service. is a good program that can expedite your company in a timely manner, it guarantees an organization of the tasks to be exercised through calendars and this software is easy to manage for the administrator. It gives us a facility to have the opportune information at the moment of making cash the payroll of the personnel, the calendar organizes us a lot since we can know the days that the commitments to carry out during the working day are made. "Clock Shark designates the work immediately and reliably." It is very good to have this software because through it we do the programming of the types of work to be carried out daily, it does a brief follow up to our procedures of each one of the employees, we like the way to locate by the gps where is doing the work, it should be noted that it is a quick and easy to use program, it is very optimal and effective when handling it, it also designates the work to the employee in an immediate and reliable way. they should do an update and try to add more features according to the software, seeking to optimize the user's processes. is contributing and resolving that is more efficient at the time of assigning work, quickly locate the part where the work is done, how to organize the calendars to be practical in daily processes, saves us time and money. "software on hand for follow-ups of the tasks of the staff"
they should add more features to better perform the work of the daily tasks carried out by our employees. "A direct time clock and an easy-to-use application, all in one software"
One recommendation is to improve the software interface. "immediate optimization with clock shark"
It is very essential for our company because this software has the facility to designate a job to the employee in a timely manner, through this program we can keep track of the worker's overtime, it allows us to locate by means of the GPS in which location The employee is found performing the assigned work. one of the things that we dislike is that it does not allow us to include a configuration of the reporting periods, it is not stable in the android mobile devices, it does not add jobs while this is in programming mode, these are some of the things that we dislike this software. "ClockShark's user friendly technology with simple implementation has proven extremely beneficial "
As a Property Management company, the utilization of ClockShark was ultimately contingent upon the flexibility and the app's general adherence to our specific needs. The app itself is not particularly meant to be used in such a way as we are utilizing it however, we have been able to arrange jobs and tasks perfectly to make sense for our endless workflow. Additionally, we can't speak highly enough regarding the user friendly and simple nature of ClockShark's technology. Our biggest struggle historically has been finding a scheduler which appeals to a variety of employees with subsequent technological experiences and skills. Clock Shark, as far as the field employees is concerned is, by far, THE easiest both in teaching as well as user implementation. Our team is happier and more productive given less audible interaction over the phone by our office. We have, in essence, given our field staff a simplified increase in responsibility which is, in turn, consistently improving our overall responsiveness to our tenants' needs. We would love to see a more specific update function, so our entire team isn't notified once one or two schedules have been updated. It's certainly cause for confusion when the push notification reads that their schedule has been updated, yet nothing has changed. Also we would like to have the ability for our staff to easily alert our office team of statuses for jobs / tasks, as well as, schedule tasks. We've been able to work around this with notes for status updates but adding jobs for us, the way we have had to set up our account is a bit redundant ( add task, add job, schedule job, add task to scheduled job, etc.). If you are on the fence about implementing ClockShark, I very honestly recommend seeking out the competition and experiencing what other products there are to demo. At first the technology may seem overwhelming, especially as it's explained by the "comparable" products however, without uncertainty I bet you will find yourself delving deeper into the functions and flexibility of ClockShark. The customer service, responsiveness, and most importantly the transparent honesty that the CS representatives provide appears effortless and is uncanny. We took part in a few competitor demonstrations, of which some have been in business for upwards of two decades. Not for one moment was there hesitation in our return to ClockShark. There is no over complication of technology, no necessity for prior industry knowledge, and no need to master a smartphone! 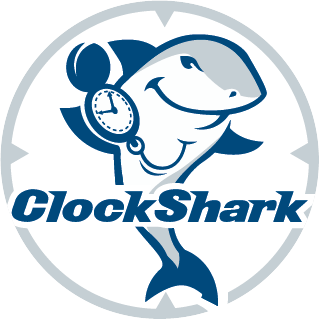 Equally important to note, Clock Shark was not created for the specific needs of our company but the team's willingness to troubleshoot and morph the application as best they can to fit our needs, speaks volumes. At times, they know better than I, what we attempt to explain or request and are ready with an answer. Additionally, unlike their immediate competitors, CS is constantly updating, trialing, and interfacing with new software and takes customer requests into serious account. In the short time of our relationship with ClockShark, we have seen multiple, attractive changes by way of accounting interfacing. It seems that ClockShark is set easily set apart from their competitors by appealing to the needs of an array of users and by taking full advantage of the most recent technological advances of our time. We are excited to watch the evolution of ClockShark and thankful to have found such a helpful group of individuals who truly make us feel as though we are the most important client. We are gradually solving scheduling conflicts and disputes over who is able to use who and especially where our guys are. Now there is little necessity to have to text or call our field staff for essentially anything other than last minute request which allows them to be stationary for longer periods of time. We are no longer coordinating chaos. Deadlines are being met sooner, tenants are noticing an decrease in response time, office staff is able to control everything, whereas before, all information was being funneled through one individual. ClockShark has made my work life so much easier. Before, I was "translating" paper timesheets and having to input them all by hand. With all the employees responsible for selecting the job, task and a description of what they did, it all transfers straight to QuickBooks. They can even add pictures which can come very handy later if there are ever questions. I don't like that the system sends an automatic password. I usually try to go in an change it. Putting in and remembering a password seems to be the biggest hurdle our guys have. Also, if the QB Connector hangs or has an issue, I end up with duplicate entries in QB which all have to be deleted one at a time. I highly recommend this product for timesaving and accuracy. Has made my work life a lot easier when it comes to payroll. It also easy to go back and look up previous time entries if there is ever a question about what was done when. Being able to upload pictures from the jobsite is also a helpful tool. Having the jobs listed makes it easier to keep the continuity on what jobs they are working on rather than me having to try to figure out what job they mean from a written timesheet. Tremendous timesaving tool for me. "A great help software and avoiding paperwork"
It is very easy to work with ClockShark, its tools the workers can mark their time of entry and exit without any inconvenience because they can track their location by GPS, this makes it an innovative and supportive software with the planet since companies usually use sheets of paper daily to seal and monitor the schedules in which your workers enter and leave. Maybe they should improve features like enlarging the space to write the notes, but I really could not imagine anything else that could displease me. This is an assistance software and knows very well what it does, all its features are so developed so that employees and contractors are on the same level. A panel of ours the salaries that must be paid to each employee and this is of great help for the administrator. "Follow up in real time"
One of the best applications where I really like to use the mobile application, it is well structured and gives me everything I need, with ClockShark every employee can be connected and make their time marking completely from the application taking into account that their boss You can access your location. There is not much that I do not like, only minimal things, but usually it is a platform that works quickly, excellent efficiency with ClockShark. Thanks to the use of GPSTrack technology you can visualize the location of each member in real time, even we are at maximum satisfaction with the tool that alerts each member in case they forget to sign their working hours, and its cost is totally accessible for any organization. We really appreciate your review! So happy to hear ClockShark is working great for you. "Improvement in the administration system"
Whether small or large companies see the benefit of this software is easy, a number of employees who can do a job that usually needs to be monitored to avoid schedule problems and later payments on their payroll, the work that ClockShark accomplishes is the monitoring through an application that includes a GPS so that each employee can mark the time he works. There is nothing that I can dislike, Clockshark is good software of all modes and I can not think of something that I do not like. Perform tasks such as marking the shifts and overtime that each employee works, the fees that have to be done, calendar management and add notes to know what tasks have been carried out on the day and what will be done. "Easy to use. Very helpful to our company." The "Who's working now?" feature. It's really handy to be able to keep track of all employees with the GPS option, as you can see what time an employee clocks in and out of a job site, and where they are at any moment. Would love to see an option to differentiate subcontractors from employees. At the moment, all our sub-trades have to be set up as employees, and labeled according to their trade. Our scheduling system was not working for us. With Clockshark we are able to easily schedule employees and sub-trades. I like the GPS function as our supervisors can keep track of where and when employees are clocking in and out from their shifts. Thank you so much for your review! We are so happy to hear ClockShark has helped you easily schedule your employees. "This has changed my business!" I really appreciate the GEO Fence feature. This guarantees our team members clock in and are on site for the duration of their schedule. That has provided a huge sense of relief. I wish there was a way to schedule things with a window for completion. I own a cleaning company and there are jobs we have that can be done anytime on the weekend from Friday after hours- Monday opening. I currently just schedule it all for Friday and then our team members clock in whenever they do the job but it results in a bunch of emails and notifications because its unscheduled. Payroll accuracy and accountability for work being done in a timely manner at the proper location. Thank you for your review! We are so happy to hear that ClockShark is working great for your company. I like that I can see where my employees are when clocked on and have been throughout their shift. I like that the app is accessible by all my staff no matter what their technology knowledge is like. Adding a job via a smartphone/app is not as comprehensive as via webpage. Can't set geofence which is important to us. Sometimes the app kicks staff off the clock in and they have to e'clock in. So far, this has only occurred on Android Phones. Some staff have noticed that notifications don't always appear. No more time theft. Our employee payroll is 100% accurate and allows for us to be more flexible with bonus payments and savings for end of year Christmas Parties. I have save a lot of time tracking down invoicing and attempting to marry up time against jobs. Every minute I know what I have spent on each job. If i had to say anything, it would be for a set up where when you create a 'Job' it also makes you create tasks that are solely related to that Job. Instead of the 'Job' and 'Task' lists being independent, have it made as a hierarchy. I know that may make a bunch of duplicate tasks, e.g. task: 'concrete' may have to be listed under multiple jobs, but it also prevents the wrong task being associated with a particular job. With all of the great features, the one that stands out is the Schedule. With the easy "click and drag" ability, entering a weeks worth of projects for 21 employees is a snap. Having the address available to the employees makes it easy when there is a new job listed, they don't need to call or text just click "Details". The employees like that ability to look at the app and see where they are going next, and have an general idea of the work with information in the Notes section. With only being a couple of weeks into using the program, the only issue has been the need to log in each time instead of it "remembering" who I am. Most other programs we use can be accessed by clicking a single button. Very accessible and user-friendly app. For a business with 30-40 projects at any given moment, adding projects and details takes just a minute and employees in the field have access to the information. Prior to using ClockShark , our payroll was done with the honor system and we had no way of tracking how many hours went into a project. The app solved two major problems easily, along with the ability to track employees and projects in various ways. We have managed to control the number of weekly hours and track when an employee is actually at a job site. I wish there was a way to list specific task within each job without them being loaded across all job platforms. In our field we might have a basic painting project on one job and on another jobsite we might have several different pieces of built-in furniture that we would like to identify each as their own task within that job. For example: Job = Smith and for Task within only this job = 1. laundry room built in, 2. fireplace built-in, 3. mudroom bench seat, 4. living room window seat, 5. dining room breakfast nook,...... etc... I wouldn't want all these to list on the Jones Job. I know we can easily search these tasks but it would help to only have job specific tasks to help communicate scopes of work on each job location. Tracking of billable time being spent on specific tasks to assure accuracy. GPS location of employees to assure they are working where they should be when they should be there. Thank you so much for your review! We always love feedback it helps us figure out what to do next in order to make this product the best it can be for our customers. Hope you have a fin-tastic day! ClockShark aids in organization unlike any other software and it's such a time saver. You can use it to keep track of employees to ensure they're working at their assigned hours. It definitely helps to maximize personnel resources. The CSV export option is also super useful if you're a spreadsheet person. Some employees have difficulties with the software being glitchy or the system being down at times. It's rare, but it happens. I don't love that, especially because we pay for it. To those considering ClockShark, I would wholeheartedly recommend it if you have encountered issues with employee time sheets, hours, or even keeping track of workers. You can view and approve time sheets, see who's working and where they are working, export reports, view audit logs and paid time off, and really just keep everything in order. Being able to view the company personnel in an organized manner is life changing. We've overcome payment issues and are able to focus on our jobs instead of having to waste time ironing out timesheet difficulties. "An effective software to pay payroll"
I like how I can see the timeliness with which the workers join and arrive at the company, ClockShark functions are good, each feature is designed to please its users providing the best customer service and with excellent quality tools. Nothing that I dislike, is good software with great capabilities. We have had the best experience using this software, it complies with everything that is proposed and is ideal for small and large companies. We have greater confidence, each person has in their application the function of GPS to corroborate that the work is fulfilled with their hours, even you can visualize the extra hours to make the payments through this software and that is reliable. Thank you so much for your review! We are so happy to hear you have had the best experience using ClockShark! "Straightforward, simple interface; implemented in a couple hours"
I watched most of one intro video and decided to do the free trial. Within the first pay period, all the employees had it working with me having to do only occasional edits to their logs. These guys have obviously thought thru how real-life time tracking works: we didn't have to adapt to their system, it simply fit. Mobile app sync's are a little quirky, but all the data eventually comes thru. Sometimes have to manually trigger the app to sync. We have completely eliminated paper time cards the employees would 'forget' to fill out daily, or lose, or mangle. We print out the cleanly formatted timesheets at the end of each pay period, each employee signs, then they're scanned and stored as PDF's. Time is more accurately tracked to the right job and task. Total time, thus cost, is no longer guesstimated from yesterday's (or worse) fading memory. Perfect for us. We really appreciate your wonderful review! So happy to hear ClockShark has been helping you and your company "eliminate paper time cards". "Best Time Saving App & Best Customer Service "
The customer service. Someone is always there to help without a long wait time. Today Dee took care of me when I accidentally deleted a job that was still in progress and had me up and running in minutes. Since we started using clockshark a year ago I have saved an average on 20 hours a week by eliminating tracking down employees for job information, time cards, material receipts and processing payroll. There is nothing to add here! We have not had any issues. This has saved our company time and money. I would highly recommend this product. ClockShark is easy to use from Administration to the Field. The reports feature has cut my payroll prep time in half. The GPS function has improved our field productivity. Our payroll costs have decreased. We are able to produce accurate information to our customers. Employees fill out there notes daily. When the job is complete I can easily access all the information needed for my billing. It has eliminated the use of paper time sheets and makes payroll much more efficient. Because of ClockShark our payroll expenses have decreased over the last year and production has gone up. "All the bells and whistles but still user friendly"
How easy it was to learn to navigate through this yet the program has no limitations to the kinds of reports I can pull. Nothing, I can not think of any changes needed. They really thought of everything! You can use the free trial and once you see how much information you can track you will want to stay on it. We run reports and we evaluate our overtime hours based on where they are being used and then make changes based on that. Saves me time and also allows me to have accurate information anytime I need it and in a variety of formats.. Thank you for your review! We are so happy to hear that ClockShark is saving you time, and creating accurate information for you. Our Service Techs are getting used to the new process. It is fairly simple for them. Training was easy. We like the reports that ClockShark prepares. The simplicity of preparing payroll is much easier than our old process. We have not turned any reports yet to our payroll company, that is the step of integration that we are currently working on. We would love to have a different default screen - All of our Service Tech use the Crew Clock feature. We would love for there to be a default screen for this when they log in. We would also like if we could have different settings for our different shop locations. And finally we would love to see some changes with the schedule process which we are currently not using. Gathering data for payroll is always a chore and the accuracy of the information is always a challenge. The accuracy seems to be much better now with ClockShark. We are solving the problem of the difficult task of entering payroll data. ClockShark is collecting that data for us now. Not always being able to be on-site, I think it's great that employees can't clock in until they get to the project site. Ease of changing job tasks works perfect for job costing. Easy import for quickbooks. The inability to distinguish between timezones. No way to input an expense sheet for submission with timesheets for employees that receive per diem. This app served the exact function that I needed it to. I wanted to stop running down timesheets and this app engaged the employees to actually care about their paychecks. Time to manage paper copies of timesheets. "Absolute improvement for our business"
I like the weekly summary that break down hours spent both by customer and by employee. We also love how easy it is to import timesheets into our accounting software. The mapping for new jobs is a little hard to figure out at first. Our employees are more accurate with where they are spending their time and we are able to job cost better. As our employees work mostly independently, it give us peace of mind that we are paying people for time spent and no one is getting shorted - us or them. Thank you so much for your review We are so happy to hear that ClockShark is helping you job cost better. "ClockShark works fine and is very intuitive to use. Generally, it is a helpful experience and very s"
The customer service at ClockShark is extremely high. ClockShark is always looking for ways to improve their product. Most of the clock issues that organizations experience are eliminated by this software. This software does not only works on desktops but also on the tablets and smartphones. It has very native apps for Android and Windows devices and this enables its users to go directly to the work site from there. This also enables organizations to save money since they are not required to hire dedicated software in order to monitor their staffs. With this application, I can simply drag and drop the names of the employees to a calendar in order to keep their work program. "Easy to use, effective way to track time and schedule work." The simplicity of the application. The ability to schedule work for our technicians with easy and the geo-fencing. It helps us track labor for each job and by doing that it helps us stay within our budget for each project. I do wish it would talk with quickbooks on it's own. Auto update to see real time labor costs. It does help us track labor and we can see real time through clockshark directly. It helps us manager our labor costs and be more profitable on our projects. "Clockshark, making clocking in fun!" I like how Clockshark has helped our small company track time. We are still implementing many of its features as we grow. Some inconsistencies the last few weeks with sync'ing between mobile and desk top versions. Otherwise very happy. Try it out!!! Lots of fun features and great support. We started using clockshark on a recommendation. We also tried Intuit's T-sheets. Clockshark won out because of ease of use. We are solving time tracking issues. The benefit for us is the organization that ClockShark is helping us with. We are working towards implementing more of the scheduling features. We love the prompt customer service, as well as the easy interface. Dee is always there and ready to help! As it's a newer software and company, some features have not been introduced yet. If you have employees in multiple places, Clockshark makes it easy to keep track of their times, schedules, and what they were doing. We do all our scheduling, store files, and keep track of all our shop and field employees' time. It's very nice to see a weekly view of all our employees' time sheets and be able to see weekly schedules. "It is perfect for tracking employees"
A tool for tracking employees, organizations and payments; ClockShark is a support software that avoids fraud since it gives the opportunity to companies that their employees can mark the moment they enter and leave to work in real time. I do not dislike anything about this software, its tools are very good and every problem has been solved efficiently. Between saving time and better quality of services, we believe we have made the right decision for our payments and tracking of employees, since with the included GPS it is easier to know the location of our employees. It is very easy for our guys in the field to use. I can manage all of the times sheets ans see where everyone was. The summary for each employee makes it very easy to compute payroll. In the reports you can track how many hours and at what job each employee worked, you cam all so print how many hours were expended to each job and what employees work on them. I wish it would track mileage between locations, that would be a fantastic time saver for jobs we have to pay mileage on. Knowing where the employee is when he clocks in (at home or at the job). Tracking how many hours we have invested in a job so we can do costs analysis. "When it comes to locating and organizing ClockShark, it's the software!" A mobile application that helps me organize my employees and locate them when they need them the most. It has facilitated many of the daily activities that I do in my company and above all it has saved me time when it comes to organizing my clients and employees. Sometimes the GPS is not as accurate as you would like, but, on the contrary, this system works perfectly. In general, I think it is a very useful system when it comes to organizing and locating my clients, although sometimes it is not as accurate as expected. "A huge time saver for my business"
The mobile app makes it insanely easy for my employees to track multiple jobs and job sites. I used to spend 6 hours a week deciphering time cards between 15 jobs and over 100 tasks. Now I spend 10 minutes because clockshark works so well with quickbooks. Adding time for an employee who visited several jobsites in a day isn't as intuitive as everything else but it is still relatively easy. Give it a shot. The two week free trial is a great way to see if it will work for you. I have seen killer benefits and it was worth every penny to me. mostly keeping better track of employees time so we can be as efficient as possible. playing with the scheduling feature as well has been great. "Super user friendly and very easy to use"
The open page setup on clocking in and seeing all of your hours on a single page. Seeing your schedule a month at a time is super helpful when you move from shop to shop every day. only seeing the previous 5 days of clock in and clock out time. So glad to hear ClockShark has been a good fit for you and your company! Thank you for the awesome review. Happy New Year! Really like that the employees have the option of clocking in on the job and logging into a particular job as well. Like the ability to attach other documents to a job, really helps with the tabulating of invoices. Like being able to have a the schedule available for all employees to see. Haven't found anything I didn't like yet have really enjoyed all the features. Being able to have employees clock in to a particular job really helps with the invoicing of hours involved with each job. "Employee Tracking at It's Best"
The ease and simplicity of the cloud based application is second to none. The program is super easy to use and makes tracking clock ins, scheduling super easy! There are a few feature that are missing, but they are planning on adding new features for requests for time off etc. Easy set-up, easy access, easy use! Having employees use the app eases the frustration of using paper time sheets. The App immediately notifies employees when they arrive onsite to clock in! very good tool for tracking employees is very easy to use monitor and be aware of what each worker does on and off the job. I recommend it, if you have any kind of inconvenience, your equipment is always attentive. since you get used to the application it becomes easy for the user. "Finally a time recording app with GPS that works!" We have tried numerous apps and most of them either did not have all the features so we were sacrificing what we wanted and all of them had technical issues. Specifically the app would get booted out of the active apps and would stop recording. This was the simplest implementation and it does what it promises. We love the clock in and out along with the GPS. The time sheet display makes the approvers review quick. So far we haven't had any challenges thus far. Our biggest concern is that we have a separate accounting solution that we will now have to work on an integration for. Employee time tracking, location tracking, and reporting. We look forward to the resource scheduling as well. The willingness of the staff to help out to make clock shark workable for my business, we have had some problems with the integration with Xero which Clockshark has been working to fix and we have now sorted out. not everything imports from Xero, I can import staff from Xero into Clockshark, but the Quotes/jobs that I have in Xero dont come over, meaning that I have to re-enter the same data twice. This would be a great benefit if this could be done. I am happy with the time tracking for my customers and their sub-jobs. This part is excellent. The only problem I have seen so far is the lag in syncronization. I create sub-customers on the fly and then have to wait up to 24 hrs for it to populate in ClockShark. I would like a some way for the employee to enter parts used on each sub-customer. I don't have to spend time tracking my employee's work and he can leave notes for parts used. "Good construction time clock, easy to use and with excellent customer service"
I love this software from start to finish, it has consolidated the whole process of payroll / time maintenance, it simplifies almost all the work and gives us almost the whole complete idea of what each project can cost, recommended. The only obsolete thing is the application for the mobile, it has few functions and the truth is that I do not like that. We loved Clockshark. We greatly improve our customer service and offer more and better technical assistance for each project. Thanks for sharing your review, Luisana! The process to getting back into my account was easy and quick. The customer service staff was very friendly. Some of our employees clock out and the GPS tracking stops, but it doesn't clock out. It seems like it is just some sort of glitch but it makes me need to contact that person, and correct there time which is an extra step I think could be avoided somehow but I do not know. Ways of looking at bigger time periods of timesheets as a time for tax purposes. We like the gps features as well as the overall smoothness of the functionality of the website. I like the scheduling feature and the ability to leave notes. These features will reduce the need to email back and regarding payroll. If there is any problem with clocking in and out, the employee just need to add notes and the administrator can go in and fix it. It will also allow us to add scheduled vacations right on the scheduler eliminating the need to add it to the calendar. It will be nice if the employees are not able to see the options to enable and disable GPS Tracking. Now they requesting us to disable this feature. We as administrator would like to be able to track some employees at our descretion. We just started using this product and are still in the learning process to utilize all the features. So far it has been working out great! Streamline the payroll process as well as reduce the amount of time to contact each employee to give schedule updates every day. We are so happy to hear that ClockShark is working great for you! Thank you for your feedback on GPS tracking it helps us grow and make our product better for you and our customers. The ability to designate the jobs that different employees can access is important. I love that this app is very user-friendly and allows such great reporting options. The only thing that I dislike about ClockShark is that you can't notify an Employee directly when their schedule changes. The notification goes out to all employees causing mass clutter. I would highly recommend this product for it's accuracy and reporting use! We are noticing that Employees are being held more accountable with the GPS settings. Employees have to be at their scheduled job to be able to clock in/out, which is great. I also like being able to switch jobs throughout the day, as this is a necessity in the field. * We monitor all ClockShark reviews to prevent fraudulent reviews and keep review quality high. We do not post reviews by company employees or direct competitors. Validated reviews require the user to submit a screenshot of the product containing their user ID, in order to verify a user is an actual user of the product. Hi there! Are you looking to implement a solution like ClockShark?